Compatible with all gear and chain drive systems. 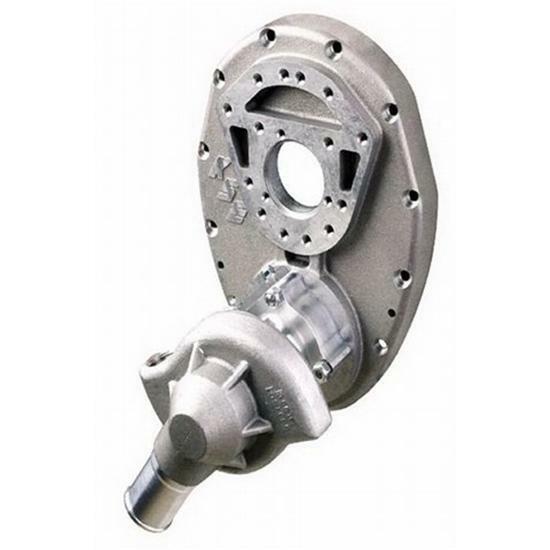 Features bolt patterns to accept all popular dry sump pumps or fuel pumps. Includes timing window with four possible locations and eight variable inlet port locations. Kit comes complete with front drive adaptor and two hose mounting adaptors for water pump block ports.